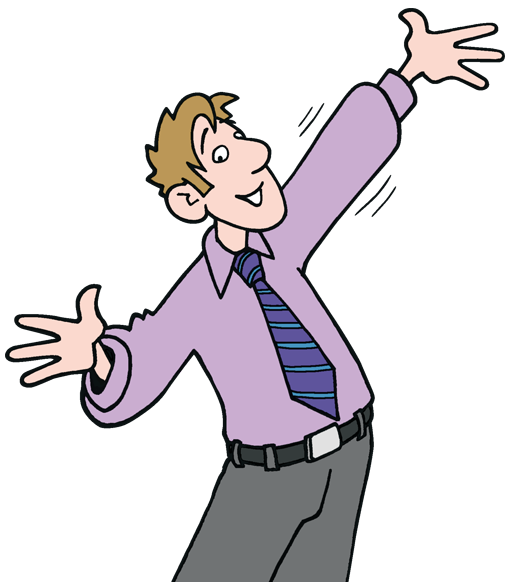 Do you have a small number of customers or clients who account for a large part of your business? Are these so important that losing any one of them could have serious consequences? If so, are you treating them in a way that respects their importance? 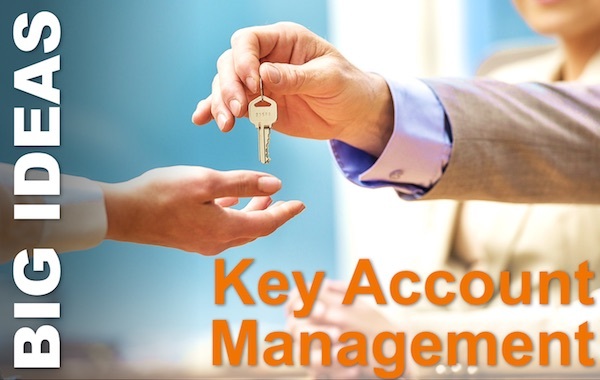 You need to consider Key Account Management. Key Account Management (KAM) isn’t the solution to everything. But it is a useful tool for building and protecting long-term commercial relationships. Robert Miller is one of the people who revolutionised ideas around selling, with his Strategic Selling and Conceptual Selling ideas. But of far more relevance to most managers is his second big idea, which he worked on with Gary Miller. If you want to sell your message, they found, you need to tailor the way you deliver it to the way others make decisions. And knowing how to do that is not useful only to salespeople. Robert Miller got his BA and MA from Stanford University, focusing on education, and his whole career has focused on adult education and training. Following service in the US Navy during the war with Korea, Miller worked his way to become a Vice President at consulting and training company, Kepner-Tregoe. He remained there from 1965 to 1974. While there, he developed his thinking about the sales process that was to lead to a series of books, and the formation of a new sales training business, which he co-founded with his Kepner-Tregoe colleague, Stephen Heiman. Miller Heiman Group became and remains one of the leading sales training organisations. The thinking that Miller and Heiman developed is massively influential in much sales training today. However, Miller left the business in 1984, although he has had two extended periods of acting as a consultant and advisor to the business. As well as founding Value Sourcing Group in 1996, Miller also collaborated with Gary Williams to create a customer research consultancy, Miller-Williams Inc. There, they conducted the research we’ll be looking at. Gary Williams studied biology at the University of Alabama, and started his career in the late 1980s, in the software industry. He held a number of positions in both small entrepreneurial and large firms, including Glaxo and IBM. In the mid-1990’s, he was a Vice President of The Sentry Group, a consulting firm that was acquired by The Meta Group. 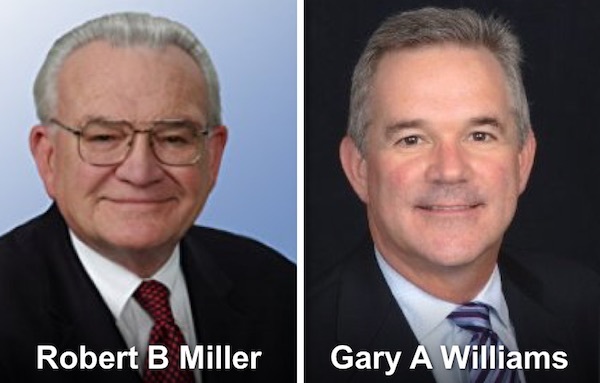 In 1998, Gary co-founded Miller-Williams Inc. with Robert Miller. This was a research firm dedicated to measuring how consumer behaviour affects market movements. Williams developed the analytical research method (for which he holds a US Patent). Together, Miller and Williams also surveyed around 1,700 executives to learn how they make decisons. This research led to the book, 5 Paths to Persuasion, and the much reprinted Harvard Business Review article, Change the Way You Persuade. In 2004, Miller left the business and Williams morphed it into its present-day incarnation, wRatings, which ranks business performance according to how well they serve their customers. Miller and Williams surveyed 1,684 executives for their study. This is a reasonable sample size, but we must note a potential for cultural bias: 97% of the respondents were from the United States. Note that Miller and Williams defined styles of decision-making. These are not the same as personality traits and they did no work on relating the two. Whether you are trying to sell, negotiate, or just persuade to your point of view, you need to adapt to the other person’s decision-making style. You need to identify what it is, and then tailor your approach to fit. 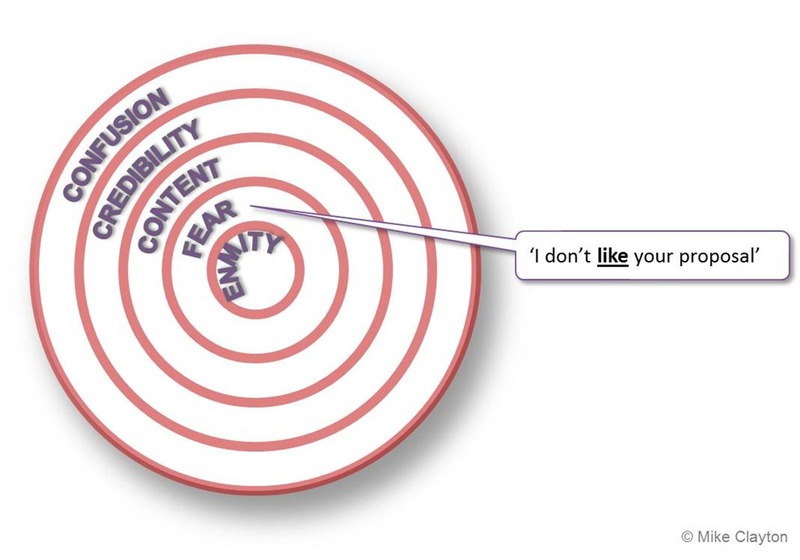 This gives Miller and Williams’ five paths to persuasion. Followers like to make decisions based on what has worked before; either for them, or for other trusted colleagues. They are risk-adverse, but are prepared to take responsibility for their decisions when they make them. They tend to be cautious and therefore like established ‘safe’ brands, but are also bargain-conscious. They like to feel innovative, but in reality prefer safety, with a slight edge of novelty. They trust expertise, track record, and in depth case studies. To persuade these decision-makers, refer to proven methods and real results. Use references, case studies and testimonials to support your case. They need to feel certain they are making the right decision, so do what you can to reassure them that their choice is the safe one. Charismatics love a new idea or proposal but will base their final decision on the evidence. Hook them with novelty, but expect a wholly rational analysis of the risks and rewards to drive their decision-making. When they take their decision, they will be prepared to accept risk and responsibility if the potential rewards are right. Charismatics are enthusiastic, talkative, and dominant. They are results-oriented and able to focus hard for long periods. So persuade them with a calm discussion of risks and potential results. Use simple and straightforward language, rather than trying to blind them with science. They often like visual aids like diagrams, maps, and graphs. Sceptics tend to be suspicious of evidence, particularly if it conflicts with their established point of view. They can be aggressive and combative, and like to take charge. They are prepared to take risks, but will often try to shed responsibility if things don’t work out. Ultimately, sceptics don’t trust data, they trust people. So you need to establish as much credibility as possible. A good way to do this is by gaining an endorsement from someone the sceptic trusts. Thinkers are hard to persuade. They need rigorous arguments that are supported by solid data. They dislike risk and take their time to make as certain a decision as possible. Once they trust their analysis, they will commit to it. But they are also willing to re-evaluate it, if new data emerges. Thinkers, as their label suggests, are cerebral, intelligent, and logical. They read widely, and are comfortable with numbers, processes, and proofs. To persuade them, start with lots of data; the more the better. Include market research, customer surveys, and rigorous cost-benefit analysis. Case studies can help. But they need to be in depth, with highly pertinent details and a significant statistical base. If not, the Thinker will brand it as merely anecdotal. Controllers are mercifully rare. They hate uncertainty and try to cast things in black and white polarities. Therefore, they like pure facts. They are also insecure, hiding behind an unemotional exterior, until they need someone to blame. They don’t like risk and don’t want to take responsibility. Controllers are fairly logical, unemotional and detail oriented, but they also value action. Not surprisingly, from their label, Controllers like to be in charge. Persuade them with care. They don’t like to feel manipulated, and they hate ambiguity. So you must demonstrate credibility and structure your evidence carefully. Never advocate too strongly for your proposal. It’s better to give the Controller the information, let them convince themselves. This simple model belies the complexity of real people. It can be hard to diagnose a decision-maker’s style. Many would mis-assess themselves. In their book, Miller and Williams give clues to help spot the decision style. Additionally, many people have more than one decision style. They either blend aspects of two or more, or switch style, depending on the context. Finding their dominant style is not easy. Christmas is coming and many readers will be considering perfume and beauty products as gifts. One of the biggest players in that market is Estée Lauder – the eponymously named cosmetics business founded by a determined and charismatic entrepreneur: Estée Lauder. 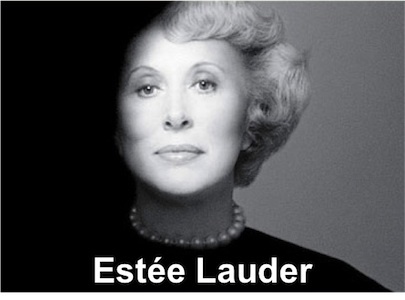 Estée Lauder was born in 1908 and grew up in the Queens suburb of New York, where her father (like mine) ran a hardware store. Her interest in beauty products started when her Hungarian uncle, Dr Schotz, who was a chemist, came to live with her family and created skin creams in the kitchen, and later in a laboratory in a stable out back. He also made paint stripper, embalming fluid, and lice treatment for chickens. We can only hope that there were no serious mix ups in packaging! Lauder helped Schotz by selling beauty products and so began her career as a consummate salesperson and marketer, selling skin care and makeup in beauty salons, demonstrating her products on women while they were sitting under hair dryers. This cemented her belief that women must try if they are to buy. The Estée Lauder name borrows from her given name, Josephine Esther Mentzer, which the family shortened to Esty, and her married name, following her marriage to Joseph Lauder in 1930 or, more strictly, I’d guess, following their remarriage in 1942, following separation and reconciliation. In 1946 she and Joseph Lauder launched the Company, soon winning a concession at their first department store. Lauder targeted the most prestigious store, Saks, and a year later was able to finally persuade the buyer after giving a talk at the Waldorf Astoria hotel, and then giving away samples at the end. This created a demand that Saks could not ignore, and marked her second key lesson in marketing. Lauder’s first fragrance was Youth Dew, a bath oil, created in 1953. It was a rapid success, and Lauder continued to demonstrate her olfactory acumen (as a ‘nose’ is how the industry terms it) by overseeing the creation of five more brands of fragrance before she retired in 1995. Many of Lauder’s marketing strategies and tactics will strike a modern reader as very… modern. They remain very much what is still recommended; because it still works. So, as a primer on marketing, we can do little better than take inventory of seven of her best approaches. The try before you buy approach is so successful, it is used on a multi-million dollar scale. Just look at how many millions of versions of U2’s latest record were given away by Apple (500 million actually) at the launch of their new iOS8 and iPhone 6. Was this successful? You bet. Most of U2’s earlier albums re-entered the iTunes charts within a week, generating millions of dollars (undisclosed) of sales for both U2 and Apple. Early on, Lauder used Sak’s mailing list to send samples and gifts to their customers, encouraging them to visit the Estée Lauder concession in store. Direct mailing may have fallen out of fashion to a degree, but many marketers still argue that, in the days of so much direct email, a well thought-out direct mail campaign can be successful. Whether you agree or not, the use of direct email is a powerful and omnipresent force in our lives – the same strategy; just new technology. 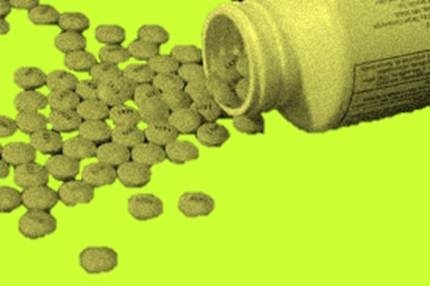 When the US Food and Drug Administration came down hard on the scientific claims of Lauder’s rivals’ products, Lauder took an altogether more savvy route. Her advertising refrained from making scientific claims, but her naming implied the attributes she was unable to claim: Re-Nutriv is meaningless as a word, but caries a vast weight of associations. ‘You get what you pay for’ my dad used to say. If lots of her customers believed that, then her premium pricing strategy was clever. Without doubt, two things are true: she did insist on top-quality ingredients, but her pricing included a substantial mark-up, creating exclusivity and emphasising the quality through the most important real-estate in the store: the price label. That idea may well been hers – she certainly exploited it well, long before BOGOF and three-for-two offers made shopping bags twice as heavy. Going one step beyond her ‘try-before-you-buy’ strategy, Lauder did pioneer in-store beauty consultations as a way of selling. She believed that in order to make a sale, you must touch the customer, and spent a great deal of her time advising customers and teaching Beauty Advisors. Lauder believed that every woman had a right to feel beautiful and therefore ensure that her advertising portrayed beauty that was both aspirational and approachable. From 1962, Estée Lauder selected one model to be the “face” of the brand. These have included supermodels and actresses. Whether they are really ‘approachable’ is debatable, but at any one time, the face of the brand become a distinctive image for the company. This blog is for my mother, Jeanne Clayton, whose favourite perfume was Estée by Estée Lauder. In last week’s Pocketblog, we looked at one way to make a sale. But often it isn’t the selling that defeats us: it’s the objections. Resistance gets us every time and this is the topic of the Management Pocketbooks Learning Arena Session at the CIPD HRD Exhibition on 6 April. I will speak at 10am, and then return to the Management Pocketbooks stand (Number 571) to meet readers and answer questions. As well as being the editor and principal author of the Management Pocketblog, I am also the author of the Handling Resistance Pocketbook. At the stand, you can get all of the Pocketbooks at the special exhibition rate of £1 off, and if you buy five, you can get a sixth one free – that’s six pocketbooks for £34.95. I will be speaking about resistance to change at HRD, but to follow from last week’s blog, let’s take a look at how my ‘Onion Model of Resistance’ applies to objections to sales. In this short video, I am talking about this level of resistance, and illustrating it with an example. Your job, when you encounter resistance, is to engage with it in a positive way. Identify what level the resistance is at, then deal with it appropriately. When you handle resistance effectively, it will often just melt away. There is an awful lot that business people can learn from doctors, and I once sketched out a keynote talk: ‘What medical doctors can teach us about business’. If the UK Government gets its way with National Health Service reforms, I might dust it off, re-title it: ‘What medical practice can teach us about business’ and take it on the road to GP groups around the country. Doctors rarely have any problems convincing a patient to take their medicine or have their operation. Most people who do resist their doctor’s advice do so because they also have conflicting advice – often from another doctor. Of course, the stakes can be very high at a doctor’s surgery: you may be in pain, concerned for your long-term health or even facing terminal illness. Your doctor can diagnose what is causing this and offer ways to remove or reduce the pain, enhance your long-term health prospects and even, perhaps, cure a life-threatening illness. How does this relate to sales? What doctors can do is offer the promise of stopping the pain. As a salesperson, this is a phenomenally effective way to sell. If you can identify what hurts for your customer, then you are on your way. Next time you are trying to sell, take some time to diagnose your potential customer’s discomfort. The more pain they have, the keener they will be for the right medicine. If they also believe that you have that medicine, they’ll bite off your hand to get a fix. 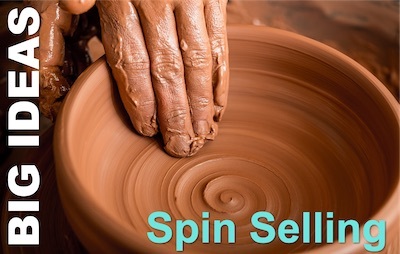 Selling is an essential skill for anyone in business, so it’s a great time to polish up you skills and remind yourself of the basics.